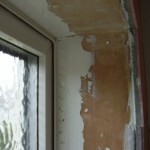 The coldness of the exterior wall was causing a problem with damp staining and mould growth. 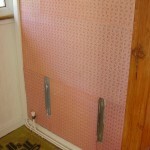 The wall ran adjacent to the staircase which limited the thickness of the insulation that could be applied. 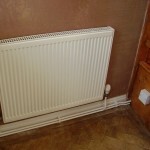 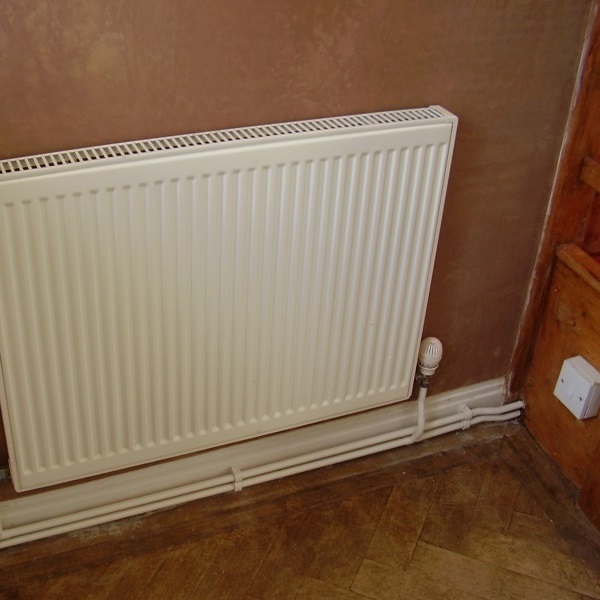 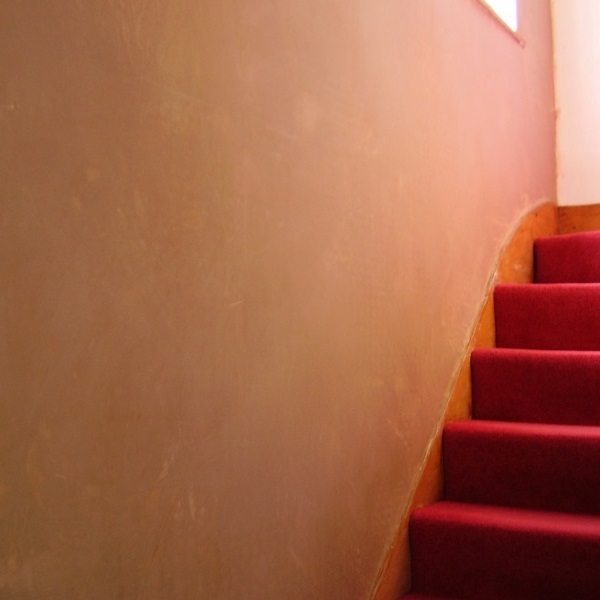 A radiator was located at the bottom of the stairs with pipe work secured to the skirting board. 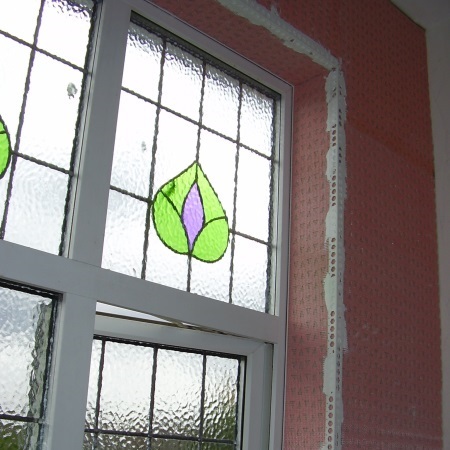 The reveals of a stained glass window towards the top of the stairs were also affected by mould growth due to cold bridging from the frame. 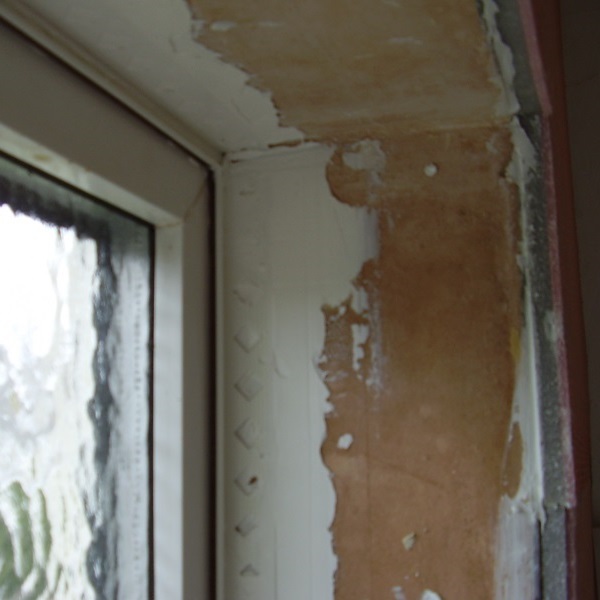 Significant increase in wall thickness was not possible due to the limitations of the staircase string and available space in the window reveals. 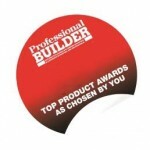 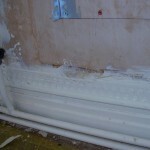 The skirting board could not be disturbed due to the additional costs of re-routing pipe work. 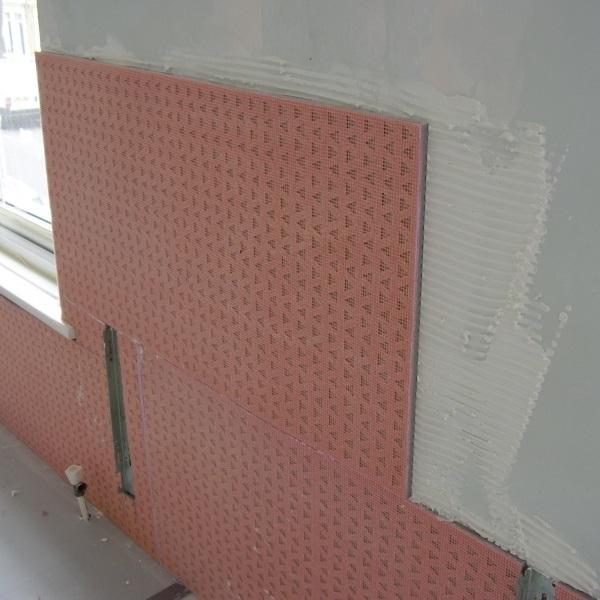 The tolerances available allowed Ultrotherm 12mm to be installed to the main wall area without covering the staircase string. 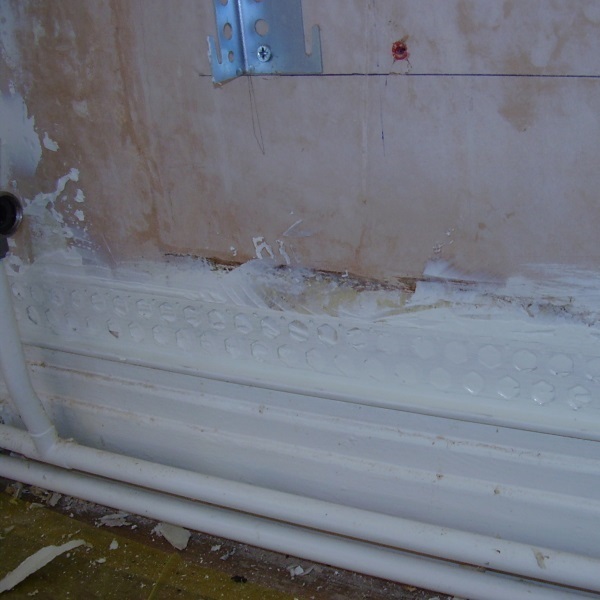 A plastic trim bead was used across the top edge of the skirting board to accept the Ultrotherm and allow the skirting board and pipe work to remain undisturbed. 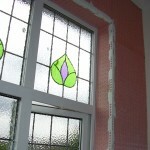 Insulation-backed Ultrotherm window stop beads were used around the window frame to deal with the cold bridging from the frame. 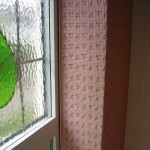 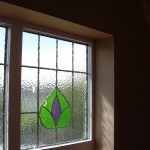 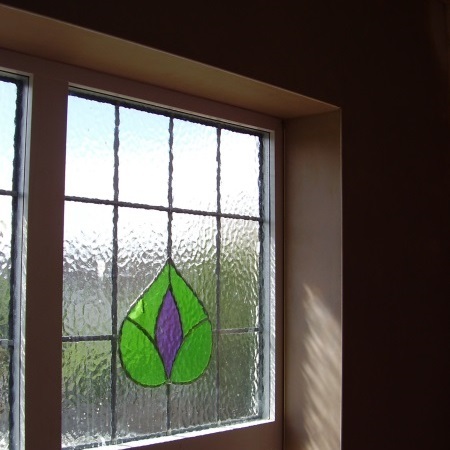 Ultrotherm 9mm was used in the window reveals to limit the impact on the window frame. 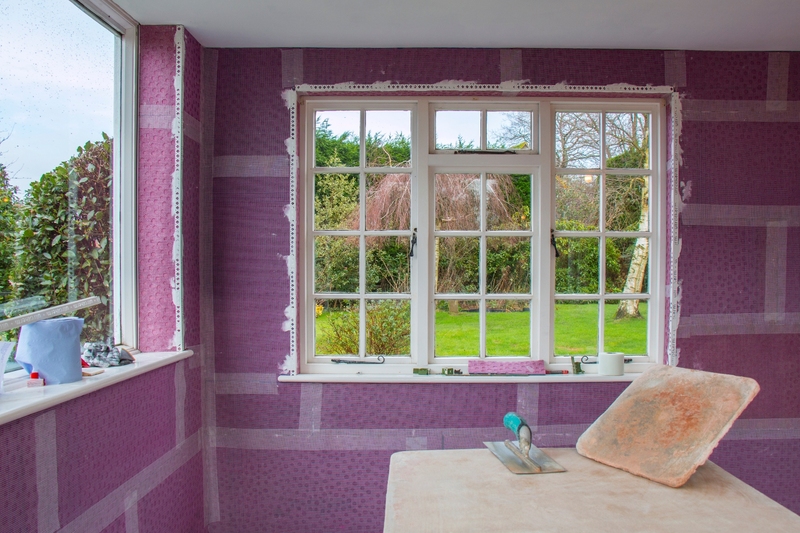 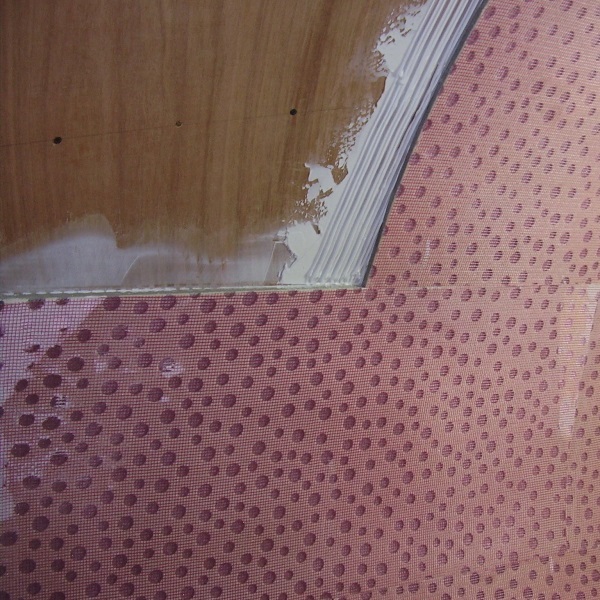 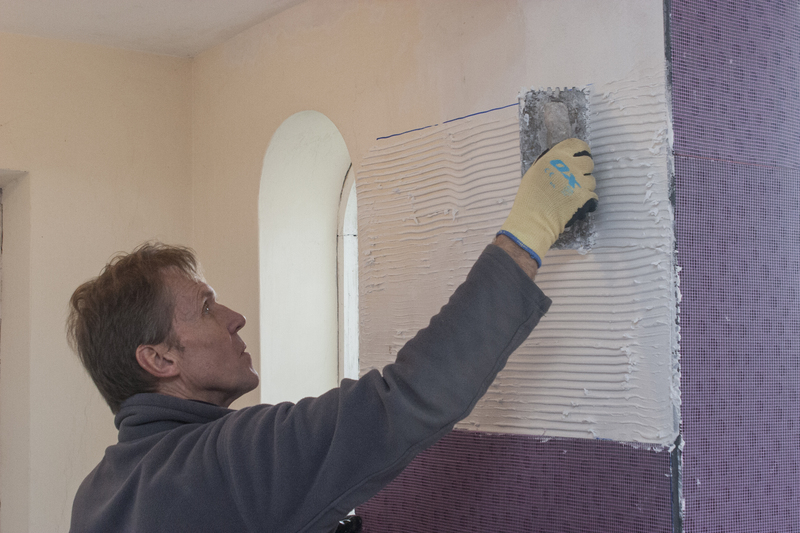 A two-coat plaster skim finish was applied directly to the Ultrotherm to keep the finish thickness of the installation to less than 15mm (less than 11mm in the window reveals).